Tania and I at Buckingham Palace - Love her chic blazer and scarf! Sunday was another great day in London! The sun was shining all day. We hit the British Museum earlier in the day and saw the Rosetta Stone and pieces of the Parthenon. 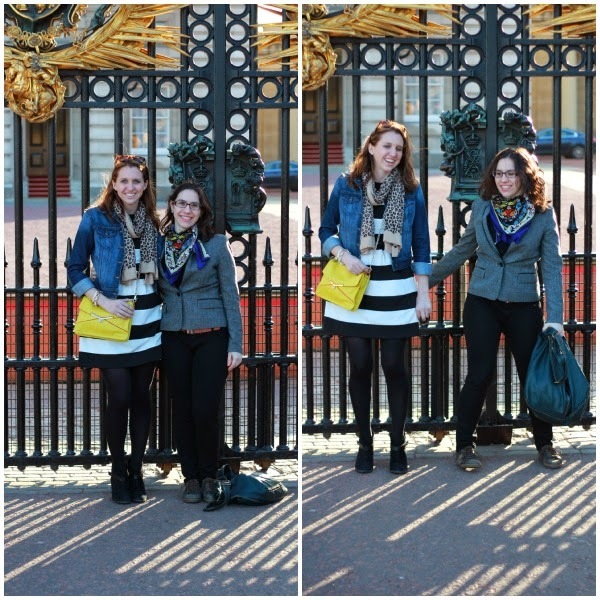 Then we walked from Oxford Circus to Picadilly Circus and eventually made our way to Buckingham Palace, which is where we took these photos! Linking up with Fizz & Frosting for Mix It Monday - black and white striped dress last seen here for a wintry dinner date! Also linking up with On the Daily Express & More Pieces of Me, The Style Record, Happy Medley & Mascara Melodies, Still Being Molly & Lipgloss & Crayons. This is definitely something I would wear while in London! Stopping by from the link up. Great look, doll! 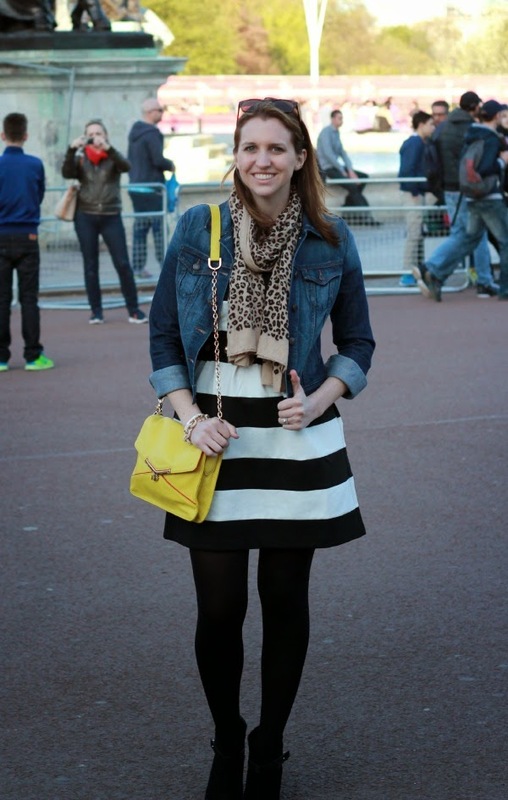 Digging the bold stripes!